Through our home inspections, Home Buyers Protection Company has been able to make the process of buying and selling a home simple. 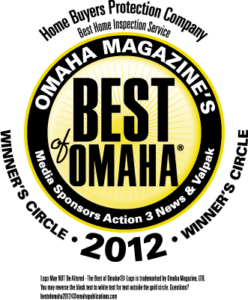 And over the years, we’ve had the opportunity to do exactly that for so many individuals in the Omaha area! In the last year I have purchased two homes, both in Bellevue, NE, and Bret Petersen has done the buyer’s inspection on both. I wanted to let the Home Buyers’ Protection Company know how well done these inspections have been. In each case, I received a small three ring binder with a very complete, typed, readable report on all aspects of the home, both interior and exterior. The report included pictures of any places where there were issues. In one case, the insulation in the attic was inadequate and there were extensive pictures showing the inadequacies, including vents that were covered up. In another home, there were places where the siding was beginning to degrade, and there were excellent pictures of the degradation. Perhaps the greatest strength of this particular inspector is his ability to explain and describe the issues. Bret is both a very articulate man, and very knowledgeable about what can be done to fix issues. So as a buyer, you get a good picture of what might be difficult to repair (or be costly) and what might be not too difficult. This sense of what is a big issue and what is a small issue, is critical for a buyer such as myself who is not very knowledgeable about home repair, and gave me a good idea about what to ask the seller to repair or replace. I have asked for Bret Petersen in the past, and will continue to do so in the future. I highly recommend him. First I just want to say thanks for sending the electronic report, helps to have a backup copy in case things get misplaced when packing/moving. This was my first experience with a home inspection and several people were telling me horror stories about getting burned by not having the right inspector. So I was a bit hesitant about this experience. After sitting down with you all hesitation was gone. Not only did you take the time to make sure we understood everything in your report, but I felt confident that you had investigated every possible aspect we could hope for. It was clear that you took this very seriously and invested a lot of time in making sure that nothing was overlooked. I also really appreciate that you helped put each thing in perspective so we understood the entire picture of the status of the home. My husband and I both enjoyed working with you and we will definitely recommend you specifically to people in the future. 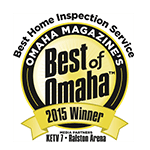 I would like to tell you about the wonderful job Mike Frerichs did on our home inspection earlier this week. This is the fourth house I have purchased and this was by far, and I mean not even close, the best inspection we have had! Mike was extremely thorough, professional, and patient with my questions. All in all, I would give him an A+ rating. I feel very comfortable going forward on the home purchase since we have a very good idea of what we are purchasing. You are very fortunate to have Mike as an employee. He represents your company very well. Our Inspector was Mike! He looked thru every nook and cranny, gave us the report and explained it in its entirety! He answered EVERY question and made us feel like we were the only clients he had. He went the extra mile for us and I will only use this company for our inspections! I highly recommend them!!! We wanted to write a letter to let you know how impressed and satisfied we were with the inspection done on our new home done by Mr. Patrick Casey. We know he did a very good job and went over all of the information about the inspection with us. He answered all of our questions clearly and explained the specifics of the components and conditions of the inspection. Thank you so much for your professionalism and assistance. 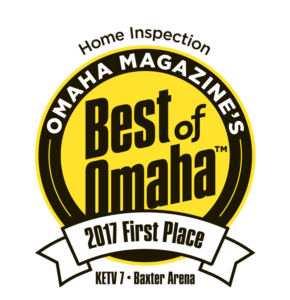 Your follow up and follow through with the questions my clients had regarding some of the windows at the home you inspected for them is greatly appreciated. You and Home Buyers Protection Company are a reliable and valuable asset, and we appreciate your work. Thanks for the thorough work and for being patient walking us through your findings yesterday. The sellers had a lot of positive things to say about your inspection, and the contractor we had walking through the house was also impressed. Alex and I are very happy with the results and will plan on covering the bulk of your recommendations alongside the improvements we’re planning to make. We’re requesting to Sheri and Laurie that they take care of the radon abatement system, so hopefully they will agree to our compromise and we can move forward to close. Assuming we move forward with the home purchase, I may look to you for some advice on replacing the air conditioner in the future. Laurie misspoke when she said the compressor was recently replaced — it was the A coil that she replaced in 2006. In any event, I’m glad to be aware of that upcoming maintenance item. Want to work with us? Give us a call at (402) 334-7926 or send us a quick message to schedule an appointment! Our team is ready to work with you.